The Law Offices of Marion W. Cain, P.C. is more than just a firm — it’s a family. For more than 13 years, we’ve dedicated our professional lives to working together to give you the highest quality legal counsel we can. Each one of us brings a little something special to the table that enables us to help a larger circle of people than we would have alone. This camaraderie and mutual respect push us to keep providing enthusiastic and compassionate service to the people we meet. Our firm offers particular advantages that permit us to reach out to more people. We provide a bilingual translator (English and Spanish) free of charge to all of our Spanish-speaking clients. We are also uniquely qualified to help people of the hearing impaired community as we provide some American Sign Language (ASL) translation. 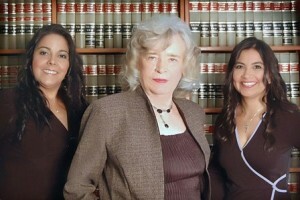 At the Law Offices of Marion W. Cain, P.C., we always put people over profits. It’s what allows us to offer you compassionate care through every step of your legal counsel. Our firm is open weekdays from 8:30 to 5:30 — except for an hour for lunch — and on weekends by appointment. To schedule your free initial consultation or to make an appointment, contact the Law Offices of Marion W. Cain, P.C. by phone at 210.551.0985 or online.